Hotel Front Desk Representative like front desk agent, guest service officer or reservation agent or receptionist establishes the first point of contact with clients and deals with nearly everything related to the stay of the guests. Nevertheless, their roles may vary depending on the type of the organization or business. For instance, the tasks of a front desk agent in a guesthouse may entail recording guests in and out of their rooms, as well as accommodating special clients. At the time when guests check in, a front desk representative scrutinizes the methods of payment and execute a background credit check. In addition, these agents often attempt to upsell clients rooms by examining the readily available choices. In most cases, managing hotel or restaurant front desk does not require specific education, perhaps a high school diploma may be enough. 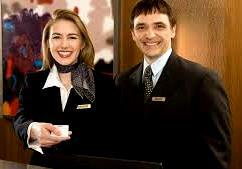 Nevertheless, most of the employees opt for individuals with hotel-related experience, though we all start at a point. Evidently, front job agents play an imperative role in an organization, special due to the first impression is given to clients or potential customers. Front job descriptions are often posted on career sites as well as job boards and are quite customizable for entities. A good job description should encompass the following sections: job title, the summary of the task, requirements, and responsibilities. In most cases, details of the application are usually included. Let us review a hotel front desk job description. A Hotel Front Desk Agent is guests’ initial point of contact as well as to control all issues related to their accommodation. The main responsibilities will comprise registering clients, dealing with reservations and availing information about rooms, charges, and facilities. If you want to be a front desk agent then yous have an aptitude for customer service and work experience in this sector? You will be helpful in creating a pleasant and memorable experience for our customers. Registering incoming clients and recording all the necessary information including contact delays and the duration of their stay. Availing information about the hotel, charges, facilities and available rooms. Giving timely responses to clients’ dissatisfactions in an appropriate and timely manner. Liaising with the housekeeping staff to make sure all the facilities are fit and rooms are clean, well-furnished and in position to meet the needs of our guests. Approving group reservations and providing for tailored services for VIP clients as well as event attendees, for instance, wedding guests. Updating records on bookings as well as payments. Be acquainted with the manner in which travel planning websites work, for instance, booking and TripAdvisor. Have exceptional communication as well as organizational skills. A certificate in hotel management will be an added advantage. Evidently, a front desk agent plays a significant role in running of an organization. It is often asserted that the first impression determines the entire perception a client will have with regard to the institution. It is therefore very important for entities to ensure they have the right people in such posts like hotel front of the house. It is important to focus on the qualifications of the applicants to these positions. It will be unwise to opt for someone who has got no experience at all, though this does not mean that individuals with no working experience cannot be fruitful. Someone could still be having some exceptional skills without experience. Therefore, recruitment should be on merit. 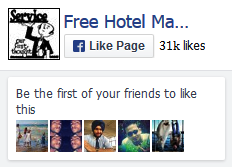 Well, the above job description is specifically for a hotel front desk agent. Closely related to that is a receptionist in organizations. The following section examines the receptionist job description. A receptionist has diverse responsibilities in an organization. Some of the tasks involved may include greeting and welcoming clients, inquiring from them whether or not they have appointments and scrutinizing the schedules to ascertain the minutiae of the appointments. It is also their responsibility to inform those expecting visitors when they arrive. If allowed, they guide the guests to the apt place within the organization. In addition, front desk receptionists are tasked with the responsibility of monitoring logbooks of guests and abiding by all security measures, including the issuance of visitors’ badges where necessary. Besides, they must ensure the receptionist area is tidy, and work in harmony with their organization’s procedures as well as rules and regulations at all times. Also, it is the responsibility of a front desk receptionist to answer phone calls at the front desk and responding to all questions. Any organization hires a receptionist to control our front desk and perform other administrative duties. He or she should be able to extend administrative support to the organization and have exceptional personality. He should be in a position to handle emergencies in good time and commendably, while at the same time rationalizing office operations. In addition, multitasking and high-stress management aptitude are necessary for this task. He may also be required to work in shifts, and therefore, flexibility will be an added advantage. Greet and welcome visitors once they get to the office. Be able to answer, examine, and forward phone calls. Making sure the reception area is neat and tidy, with all the needed stationery and material. Receive, categorize and dole out daily deliveries. Organizing travels and accommodation and structure vouchers. Create and control both hard- and soft copy filling systems for all the parties. Deal with guests’ complaints and all the issues raised. Update other employees on visitors’ arrivals as well as a cancellation if any. Record customers’ data and send correspondence. Verified work experience as a front desk receptionist or an equal role. Be knowledgeable in Microsoft Office Suite. Must be able to multitask, have time-management skills, and be in a position to prioritize duties appropriately. Remunerations given varies with the region and organizations, though an average hourly pay is $ 12.03. Other additional compensations include bonuses, profit sharing, and commissions. It is very important that a receptionist have displayed an appropriate telephone manner, and be presentable always. Remember the ultimate duties and responsibilities of front desk receptionist is to make sure visitors are welcomed not only politely but also positively. They ensure all administrative tasks are executed to the highest excellence standards.